Hello Beauties, I am up with another post for our Feminine Beauty Series. While, we all know a soft personality with virtues of grace, kindness, genteelness, confidence and warmth are essential to being a feminine woman, physical beauty attractiveness is as much important to being feminine as personality. Glowing skin, shiny hair, plump lips, clean teeth, fit body are all attributes of physical charm and beauty. This post of mine is dedicated to glowing skin, a cornerstone of what Road2beauty perceives as being beautiful and feminine. So girls, if you want to put your best face forward, you should begin with your complexion. But the question often arises, if you want to have permanently healthy glowing skin, how should you go about it? Although, the answer is simple, improve your health and you improve your complexion, it is not as simple as it sounds. There are many different factors that come into play producing either a perfect or troubled complexion. Your complexion is influenced by myriad considerations like age, ethnicity, lifestyle, place of living, health challenges etc. However, despite these dynamics and challenges, there are certain basics that affect everyone’s complexion. So whether you are young or old, fair or dark, have an oily or dry skin, you can look your best, if you follow this active game plan for perfectly healthy glowing skin. Firstly, I would say make dermatologist your best friend, especially if you have extremely troubled skin. 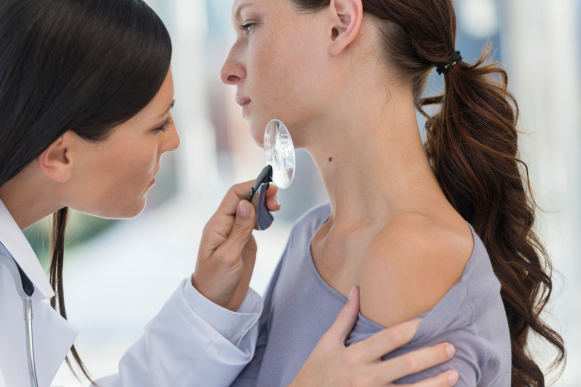 If you are already suffering from some serious skin concern like cystic acne, warts, eczema, psoriasis, moles or boils, you must first visit a dermatologist and get prescription products or treatments for your skin concern. What you put in your mouth, shows on your face. Your diet is in fact the most important factor that affects your complexion. So what you eat, how you eat, and when you eat, all show on your skin. 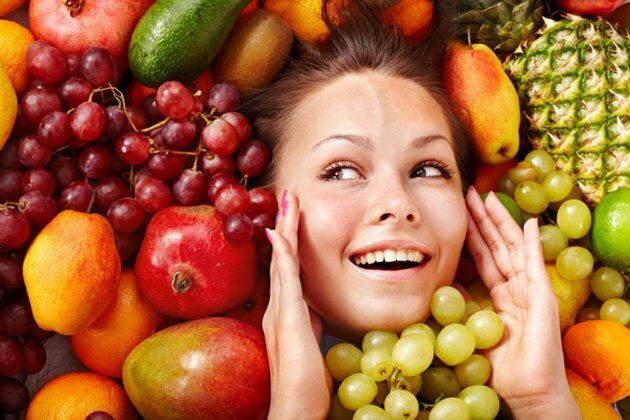 If you are looking for a vibrant complexion, eat vibrant food! Eat fresh bright colored food items like fruits, vegetables, nuts, dairy, whole grains, etc. on a daily basis for a glowing skin, radiating health and happiness. Also, to obtain maximum benefit from what you eat, learn to eat like a cow – eat slowly, eat frequently, and eat small! One of the best kept secrets of flawless glowing skin is exfoliation. Our skin is a live organ constantly producing new cells and shedding dead cells. These dead skin cells have a tendency to accumulate on the skin, making skin look dull and lifeless. Regular exfoliation not only removes these dead skin cells from the surface but also removes any deep seated dirt, pollutants, and sebum from the skin, revealing fresh, clear, and glowing skin. Overtime, your skin will become softer and smoother with regular exfoliation. Exercise: Exercise for glowing skin? Really? Yes, exercise boosts blood circulation and blood circulation is crucial for healthy skin. A daily routine of physical activity in any form will contribute to improved circulation, muscle tone, giving your complexion a youthful boost, tightening skin and helping ward off any toxins and debris. Added bonus is a fitter, slimmer, and more feminine you! The idea that you will have a better skin if you drink more water is not exaggerated. There is plenty the power of simple plain water in your glass can do for your skin. Like all other organs, our skin cells need water to function. A lifestyle lacking in drinking enough water can wreak havoc on your skin. Dehydrated skin is dull and lifeless. Also, at the heart of every skin problem, there lie mainly two issues: dehydration and diet. So if you are not drinking sufficient water, your skin will not only look dry and dull but you will also age faster for your years. Along with hydrating and oxygenating skin cells, water also helps in flushing out many harmful chemicals and toxins from the skin and body. So make sure you drink plenty of water to look soft, radiant, and supple. Maintaining a daily skincare routine with the right beauty products is more important than visiting a parlor once every month for facial or cleanup in the name of skincare. While, a monthly facial gives you a temporary glow that lasts for just a week, a daily routine of dedicated skincare with right products will give you permanent glow that radiates health and beauty. Also, avoid using wrong products. Use products meant for your skin type and condition. For example, if you have oily skin use foaming cleansers, moisturizers with ingredients like green tea, tea tree oil, vitamin C, for dry skin use hydrating products, cream cleansers, rich moisturizers with ingredients such as Vitamin E, hyaluronic acid, essential oils and emollients. Along with healthy diet and all these favorable practices one of my best kept secret for a glowing complexion is once a week oil massage with some natural oil. It is not only a silent beauty practice of many skin savvy women around the world but also a 5000 year old Ayurvedic healing and beautifying tradition in India. Besides nourishing the skin, the smooth gliding motion of an oil massage relieves stress, increases circulation, dissolves dirt, releases toxins, improves muscle tone and boosts elasticity and resilience of the skin. However, while you can invest lavish time for a full body massage, an oil massage of 5-7 minutes is sufficient for the facial skin. Also, in case of facial massage be mindful to remove the oil with a warm wash cloth immediately after the massage to prevent any case of break outs, greasiness, or pimples. So lovelies, if you want to have glowing skin, make these practices an integral part of your daily life and watch your skin glow with health, beauty, and radiance. Nice tips. It really helpful.